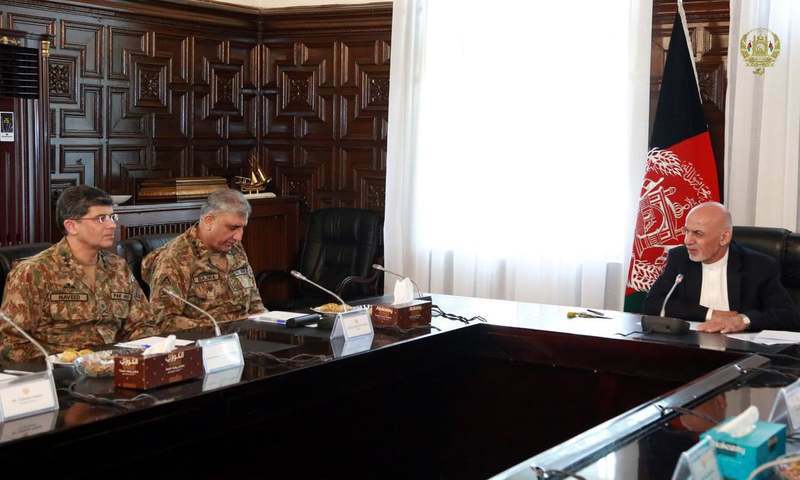 In an attempt to bridge the growing trust deficit between the two neighbouring countries, Chief of Army Staff (COAS) General Qamar Javed Bajwa visited Kabul on Sunday to hold discussions with Afghan authorities. 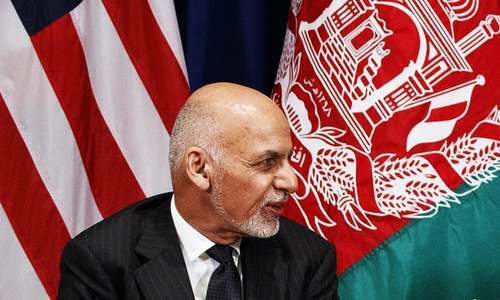 During a meeting with Afghan President Ashraf Ghani, matters of regional security and counter-terrorism efforts were discussed, Tolo News reported. 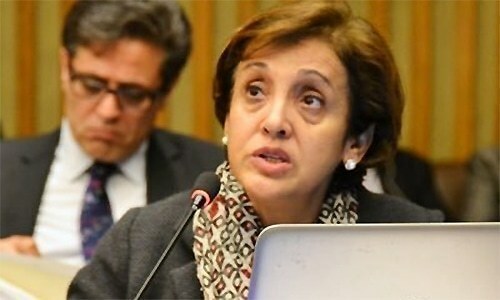 "Both sides discussed various important issues including security in the region, bilateral relationships, peace and stability, anti-terror efforts, business and transit relationships, and mid-term and long-term relationships between Afghanistan and Pakistan," Tolo news said, quoting a statement from the Afghan president's office. During the meeting, the army chief expressed Pakistan's willingness to cooperate with Afghanistan in counter-terrorism efforts, reiterating Pakistan's support for an Afghan-led and Afghan-owned peace process, Tolo News reported. Ghani emphasised the need for task teams and monitoring mechanisms to be established to create a cooperation framework and ensure implementation of promises and deadlines, according to Tolo News. "Peace and stability are for the benefit of both Pakistan and Afghanistan and could lift the people in both countries out of poverty," Tolo News quoted the Afghan president as saying. 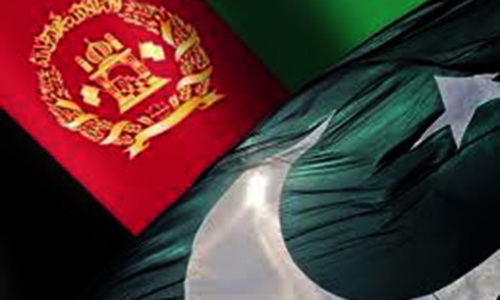 Pakistan agreed with Ghani's suggestion, promising its task teams will draft implementation plans, the daily added. Relations between Pakistan and Afghanistan have been strained for some time; Islamabad alleges that the militant Islamic State (IS) group, Tehreek-i-Taliban Pakistan (TTP) and other militant groups are operating from bases inside Afghanistan, and has provided specific names of the militants it wants the Afghan government to act against. Kabul also levels similar charges, saying that it is suffering at the hands of Taliban groups and other militants operating from inside Pakistani territory. But Islamabad has always denied such accusations, insisting that a strong and stable Afghanistan is in its best interests. Pakistani authorities maintain that militants fleeing security operations have taken shelter in Afghanistan and are plotting attacks against the country with the help of Afghan intelligence. The Quadrilateral Coordination Group, which includes the two countries as well as the US and China, has been dysfunctional for well over a year now. The US, which has been busy with a review of its policy on Afghanistan and South Asia, has stayed away. However, a fresh tripartite meeting — without Beijing — held in Kabul earlier this month renewed all parties’ resolve to eliminate IS from the region and identified “information sharing, complementary efforts and enhanced cooperation” as the main areas for cooperation. In a talk at the Asia Society in New York earlier this week, Foreign Minister Khawaja Asif had criticised US attempts to single out Pakistan for all ills plaguing war-ravaged Afghanistan. However, he maintained that Islamabad could not take responsibility for Afghanistan’s peace and security and be asked to achieve what the combined strength of some of the most powerful and richest countries could not accomplish. What is Ashraf Ghani's plan to end Afghanistan's 40-year conflict? The topics brought forward are comprehensive,i have no doubt that the Pakistan government has given the issue a good deal of thought,I have no doubt that if fully carried out their would be good results.But it remains to be seen how effectively Afghanistan can commit.Pakistan is putting a serious commitment to the future of both countries.Their is a world wide economic recovery beginning,and if you want to participate you have to be their, make your self known,This is very much the time to be constructive, whats put in place today is Pakistan's tomorrow. I am sure our COAS would have clearly expressed Pakistan's concerns about terrorism and cross border support and adverse activities that are carried out from there. I do not think, our civilian government delegation would have done implacably in the interest of Pakistan, because of their incompetence and self interest in much less important issues that only affect them. Trusting Afghans is a mistake, throughout history they have been traitorous. They have no will or ability to live in peace. Peace is in the interest of both the countries and infact for the whole region. Question is how to bring peace. Military solution is not possible that has been proved almost 40 years of war. Afganistan and NATO can accuse Pakistan for supporting Taliban. Improving role of India will not do any good. Do whatever you want but peace in Afganistan is possible if Taliban accept the Government. Taliban will accept Government if foreign forces leave Afganistan. Choice is with US and allied forces. Do it today or weight another 20 years. My message to our president don't trust a word. A strong message should be delivered to Afghanistan. 1. Take back refugees 2. Accept and seal borders. 3. Root out TTP safe heavens from that country. Afghanistan has to take independent decisions for the betterment of her nation. It’s high time that common Afghan is suffering due to proxies inside their country for the specific interests of these outside forces. If Afghanistan is serious this is an opportunity for comprehensive and constructive dialogue with Pakistan to resolve the security issues without getting dictation from external forces. Pakistan is continuously showing resolve to address the problem with Afghanistan but unfortunately the so called Allies of Afghanistan jump in and create some kind of mess whereby situation comes to either stand still or back to square one. Both countries are truly good neighbors, both should reconcile and trust each others. Look at the office and look at what Afghnaistan is really about, a hotbed of of terrorism run by people who probably have never been put of Kabul to find out the truth.Hope Gen Bajwa has put his case like it should be. As an Afghan for me its very Sad to see two brothers country hating each other we have alot in common . I hope oneday we all live in peace. Lets stay positive spread love and say no to hate. Pakistan and China should include also Afghanistan in CPEC project. It will have following effects: a. Reduction of gap between Pakistan and Afghanistan. b. Stability and peace in region. c. Indian influence will be diminished resultantly. d. Pakistan’s reliance on US will be less hence position of Pakistan will be dominant on US. e. Chinese will have dominance on India. COAS visit is not going to improve any relationship between the two countries. There are different groups from Talibans to different schools. Afghan's are so used to easy money in past 50+ years that nothing is going to work now. From USA to India is providing dollars in real term and Afghanistan government will be with them. Peace is not desired by afghapn we in Pakistan must understand. The only step for Pakistan is to secure our borders. Afghanistan should first get the country back from foreign forces then talk about relations with neighbors. Afghanistan will never learn ! All they need is free money for enjoying their lavish lives especially at the expense of other nations ! Both the countries should realise a simple fact: neighbours can't be changed. Having said that, both should come out of the prisoner's dilemma and should focus on the issues important to the people of both the countries -- human development, rooting out terrorism and extremism, and bilateral trade. There is a huge potential in the people of both countries and that should be channelled to produce positive results. The rood is, no doubt, bumpy but with the resolve and commitment, both can ply through it. There is a huge trust-deficit not only between the leaders but more between the masses, that should be replaced with trust by relentless and close cooperation. No defection; only cooperation. Afghanistan and its people need to concentrate on developing their economy to reduce mass unemployment. This can happen when afghan tribes stop fighting and killing each other as for many decades. Time has come that common sense should prevail and all afghans should do for those desperate afghans longing for peace and security for decades. No need to keep fighting for next forty years. @Afghan-Pashtun you forgot the 3 million to take back. @Afghan-Pashtun - We have been saying to our leaders for a long time now not to trust the thankless Afghans. What's new in the visit / meeting ? The same old talk, the same old commitments, the same old determination. @PAK-OZ Exactly same as what Afghan leaders are thinking, Do you have any doubts ? Good luck general. Help improving bilateral relations for a larger good of the region. You can make it happen. Durand line is a dispute and will be handled independently. Excellent move by the COAS to bring back peace, stability, liberty, independence, pursuit of happiness and real sovereignty for the militarily occupied land and brave people of the Islamic Emirate of Afghanistan. Keep it up and hang on tough. May God Almighty bless you and your loved ones. Aameen, Tsum Aameen.